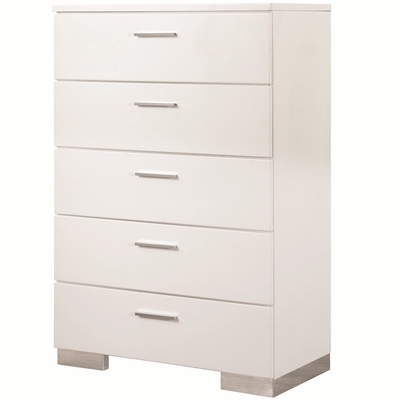 Stylish storage is yours with the addition of this handsome chest of drawers to your bedroom suite. Five spacious drawers make it easy to store your clothes and valuables neatly out of sight. The Glossy White finish is accented by metallic drawer pulls and block feet for the contemporary look you have been searching for.